Let this artwork bring flying color to your yard. 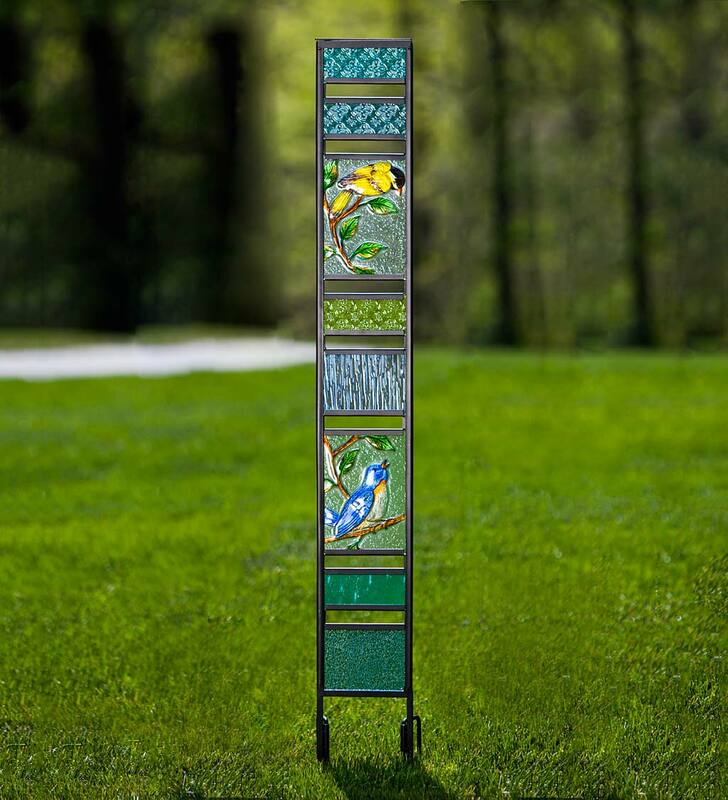 Our Glass Garden Panel features colorful song birds crafted with pieced, textured and jewel-tone glass sections. 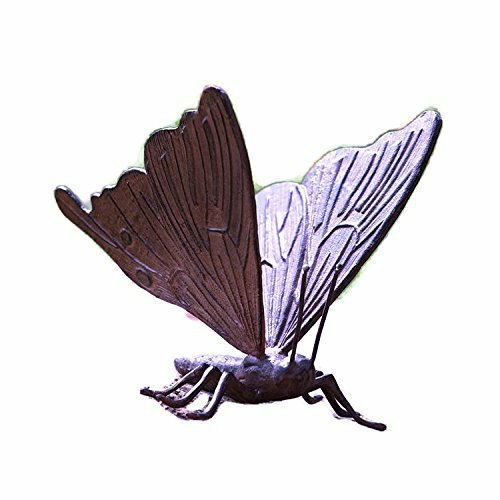 Metal frames with real glass panels sparkle in the sun and create a welcome focal point in any garden. Sturdy stakes keep it in place. 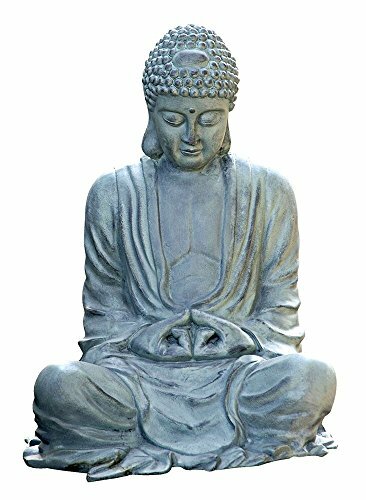 Large grey aluminum Buddha statue weighs a solid 12.5 pounds and is 21.5 x 15 x 16 inches in size. 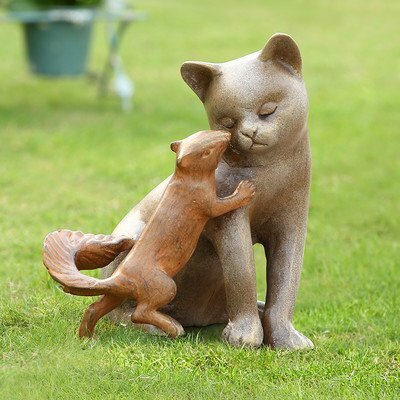 Perfect for a quite space in your garden.